Nowadays, all mutual fund schemes carry riskometer which indicates the level of risk an investor would be exposed to if s/he chooses to invest in the mutual fund scheme. So how does one interpret the risk indicated on the riskometer? To understand this, let us first look at the riskometer itself. There are five levels of risks indicated on the riskometer, namely, Low, Moderately Low, Moderate, Moderately High and High. These levels are indicated as coloured sections of an arch, where green colour indicates low level of risk, red colour indicates high level of risk and yellow colour indicates moderate level of risk. Similarly, the moderately low and moderately high levels of risks are depicted in two other colours. The arrow below the arch points to the risk level of the mutual fund scheme, so if the arrow points towards the green section, it means that the portfolio of the MF scheme has exposure to investments that have low levels of risk. So, how does one interpret the riskometer in the context of the equity mutual fund schemes? The balanced equity funds are the least risky as their portfolio is well-diversified so as to mitigate the risks arising from market volatility and fluctuations in stocks prices. On the other hand, the sectoral or thematic funds are the riskiest of them all as these funds take theme-specific or sector-specific bets which can go wrong leading to loss of capital. The large cap, multi-cap, mid-cap and small-cap funds lie between the two extremes of balanced funds and thematic/sector-specific funds. The large-cap funds take exposure to only large cap stocks, so these are less risky than mid-cap or small-cap fund that invest in mid- and small-cap stocks that are highly volatile and, therefore, riskier. 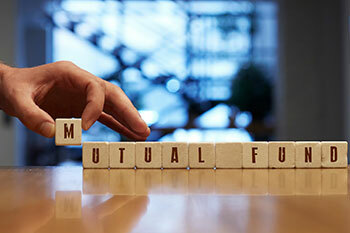 The multi-cap funds take exposure across market caps, so investments in these funds carry moderate amount of risk.